This spectacular weekend will celebrate all things out of the ordinary. Events will take place across the city centre, between 12:30pm and 4:30pm on Saturday 1st and Sunday 2nd November 2014. From sci-fi, comic books and gaming to aliens, Halloween and horror; magic and illusion to heroes and villains, Sheffield’s brand new festival is jam-packed with events, activities and the chance to dress up as your favourite character. Entry is free and activities are suitable for all ages. Children must be accompanied by an adult at all times. As the nights draw in, the 2014 Illuminating York promises to shine more brightly than ever before. Taking place at the end of October, the festival draws more than 50,000 people to the city to experience York in a new light. Cutting-edge technology creates a colourful celebration of York’s unique heritage, from spectacular sites to hidden gems. The theme for the 2014 festival is Leading Lights, uncovering the rich history and future of innovation and discovery in the city of York. The main festival piece is ‘Hidden Worlds’ by Seeper on The Crown Court building. This year, Illuminating York will spread right across the city centre with 12 brand new illuminating artworks. A fantastic programme of supporting events in local top attractions means that you can enjoy the Festival over more than one evening, experiencing buildings and concerts by candlelight; witnessing medieval medical experiments; or, for the first time, travel out of town to see Castle Howard in a new light. Whitby Goth Weekend has something for everyone with an interest in goth and all things alternative. A celebration of the non-conformity, diversity and freedom of expression the scene embodies. This twice-yearly event held at the Whitby Pavilion has grown into one of the most popular Gothic events in the world, attracting all generations from across the UK and around the world. As well as Goths, there are Punks, Steampunks, Emos, Bikers, Metallers and all manner of weird and wonderful characters, all of which are welcomed through the Pavilion’s doors. This is a rare opportunity to see live International acts, from as far away as the USA and Australia, along with dancing, drinking, eating and shopping at the massive popular Bizarre Bazaar Goth Market. Although referred to as a weekend it includes events during the day on Friday and Saturday as well as events on the Thursday, Sunday and Monday. These include additional club nights and markets. Whilst gearing up for the night time events, throughout the town Goths and non-Goths alike, from babies to octogenarians (!) parade around in weird and wonderful costumes and it all makes for a wonderful and friendly atmosphere, to be enjoyed by all. The bet365 Charlie Hall Meeting takes place this Friday 31st October & Saturday 1st November; the entries are now in and we can confirm that there are some of the best horses in the country heading to Wetherby this weekend. Ballypatrick, Double Ross, First Lieutenant, Harry Topper, Medermit, Menorah, Rocky Creek, Silviniaco Conti, Taquin De Seuil, The Giant Bolster & Wayward Prince. We also have some fantastic supporting races on the day, including the OLBG Mares’ Hurdle, an important trial ahead of the Grade One Mares’ Hurdle at the Cheltenham Festival. The race which the now retired Quevega dominated for the past six years, now requires a new victor! 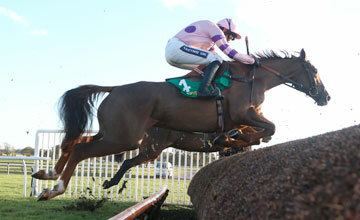 Could that champion be unearthed at Wetherby this weekend? Watch this space…. The bet365 Hurdle, has in the past been won by horses such as the great Inglis Drever, Black Jack Ketchum, Fair Along and last year the mighty Tidal Bay. This year’s Champion Hurdle winner, More Of That is entered alongside, among others, At Fishers Cross, Oscar Rock & Zarkandar. It came from a mould, it sat on your shelf and with blaster in hand, made friends with Thunderbird 3, Stretch Armstrong, Captain Scarlet, Han Solo & Optimus Prime. Now it’s time to add to the team and Sci Fi Scarborough brings the first Vintage Toy and Collectors Fair (VTAC) to The Scarborough Spa Complex. Situated in The Grand Hall of Acquisition with over 30 stalls dealing collectables of all shapes & sizes, covering all budgets from pocket money to bank busters, VTAC is the one stop shop for the one figure you haven’t got. Also, whilst the event is running between 10am-5pm, they will have local vintage Star Wars expert Alexander Beard Magraw whose reputation as the detail king is spread across the very planet we exist on! He is a true Jedi of collecting so bring that item and ask away. Finally, for more ideas of what to do for Halloween and Bonfire Night, check out our special Halloween and Bonfire Night features.